Georgie grew up believing she was born to be a cowhand. However, chances to prove herself were scarce, so Georgie began writing poetry. She eventually achieved her dream of ranching as an equal and her poetry reflects a Western history seen through a ranch hand’s eyes. 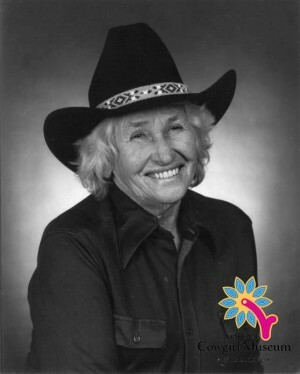 She owned and ran several ranches and her poetry receives national attention with awards like the Gail Garner award for Outstanding Working Cowboy Poet.